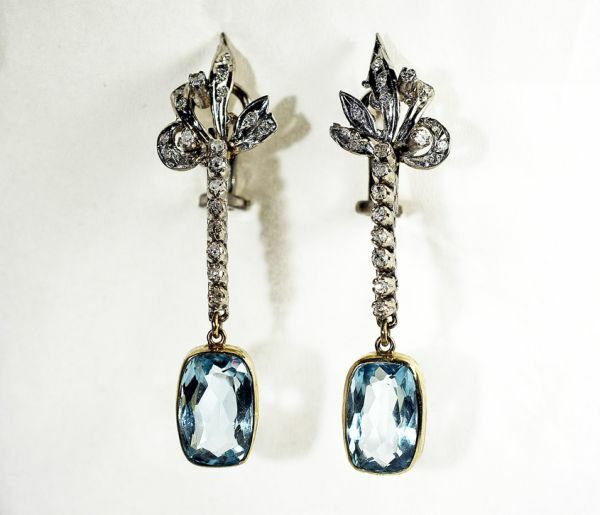 A beautiful pair of vintage 10-14kt light yellow (around the aquamarines) and white gold drop earrings featuring 2 cushion cut medium blue aquamarines, est. 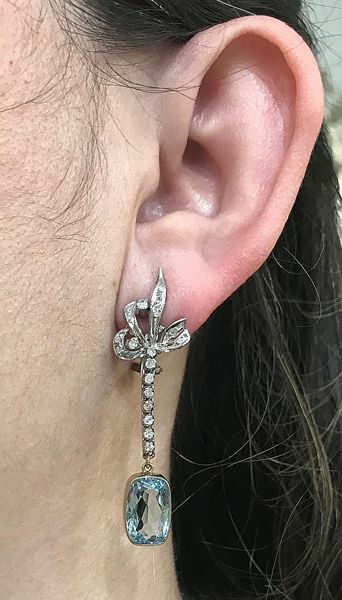 7.76ct and 40 single cut diamonds, est. 0.62ct (SI-I2 clarity & H-I colour). The earrings are approx 2.0 inches (5.08cm) in length.